Nice rain we had last week. 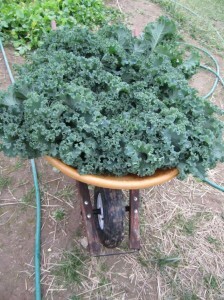 Got lots of spring crops seeded into the ground, more carrots, beets, chard, parsnips, cilantro, spinach, even some zinnias. Even got some cover crops planted which is nice. We are getting to the place were we have enough land open so we can do a nice cover croping system with our crop rotations, which I must say feels good. Looking forward to planting out tomatoes and peppers in the next 7 to 10 days, they are nice plants, and well, we are getting a little tired of having to water them all the time and carry them inside and outside, but that is ok. Our tomato crop will benifie greatly from the care we have been giving them. I am pleased overall with the way things are looking out in the fields. Lettuce and broccoli are looking nice, radishes are looking nice and the onions and shallots are off to a very nice start now that they are watered in from last weeks rains. 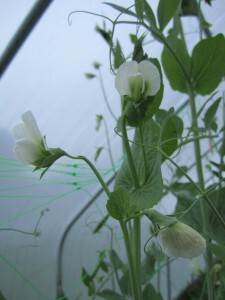 I am very pleased with the peas as this was the first year that I was able to give them soil that was pretty nice. Also the garlic is looking very nice. Added two new mushroom beds this week, wine caps are the type and we have had some fruit already this year. I really like these mushrooms, they are easy to grow and very tasty! 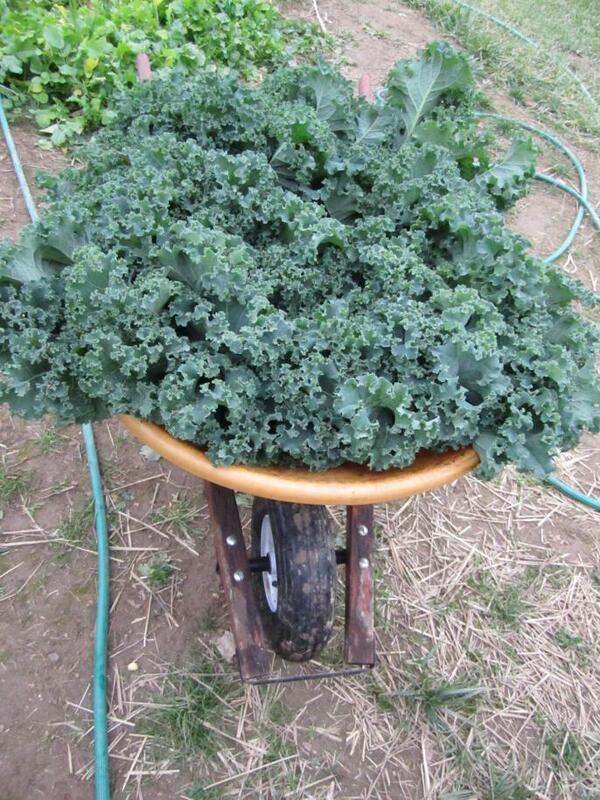 They will be in the CSA shares as well as show up at the markets! 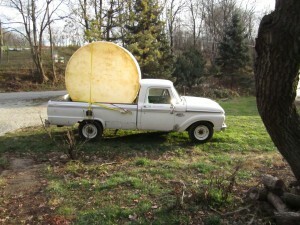 Here is a picture of one of the newest mushroom beds. This Saturday is our first market in New Freedom. Come out and get some veggies! Also we still have space in the CSA! You can sign up on our website. Spring is here, and we are farming away. The new hoophouse is doing really well. There are actually mini tomatoes on the plants already. 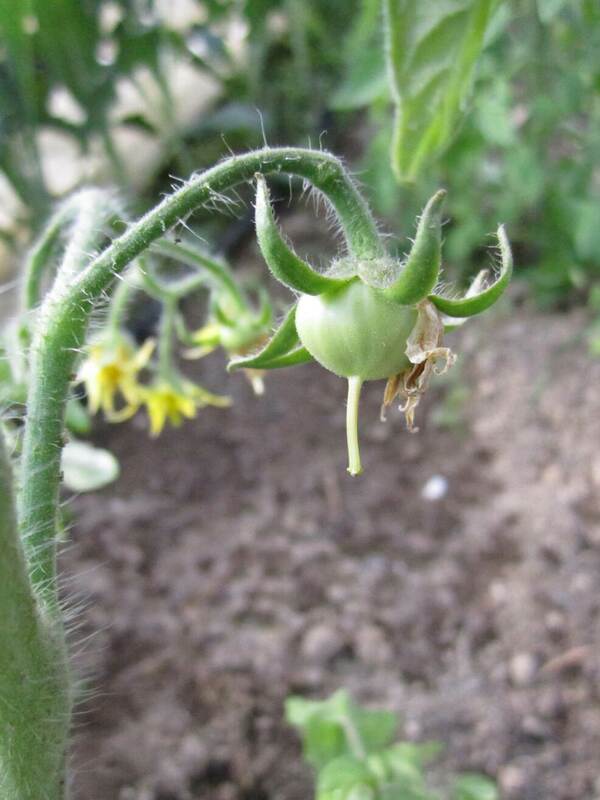 We are set to have very early tomatoes, unless they somehow die from a frost, which is possible. The weather has been a bit strange, yes its nice and warm, but it isn’t raining. Usually I don’t have to water in march and april, but the only way I am getting crops to germinate in the fields is from irrigation. 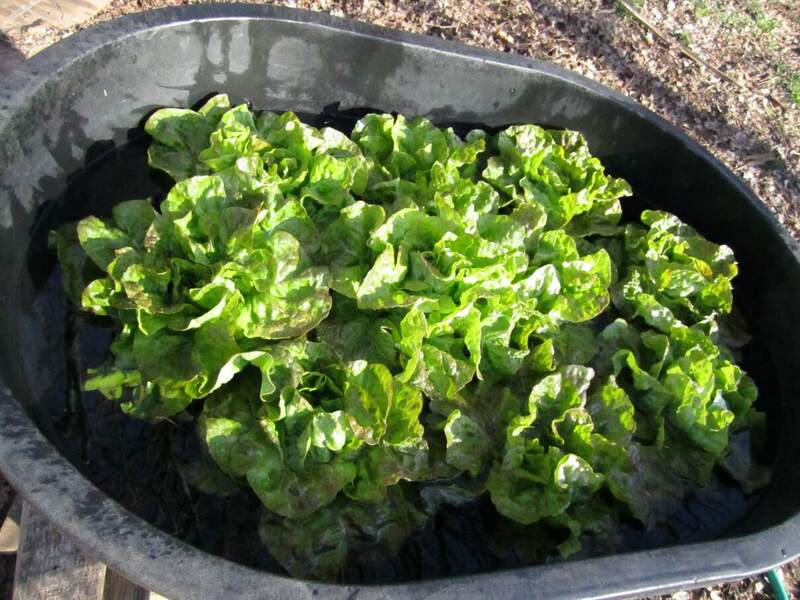 I have been spending lots of time water crops outside. Carrots, beets, peas, spinach is all up outside and off to a good start. 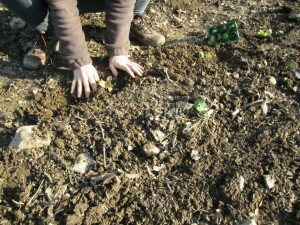 Broccoli and lettuce is also in the ground outside. 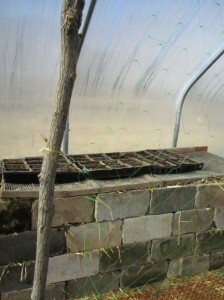 Shallots, onions and celery are also transplanted. The garlic is looking very good as well. I am very pleased with the garlic. Our soil is looking good too. Jean has been spending time potting up peppers, eggplants and tomatoes. We have some really beautiful plants this year that will be for sale at the farmers markets as well as their fruits being in your CSA boxes! I am personally really looking forward to the peppers. The ginger arrived last week and it is now in the basement being sprouted. This adds a nice month of growing to the ginger, which gives us more of a yield. Also lot of wine cap mushrooms arrived last week, I am looking forward to harvesting them in the fall and putting them in the CSA shares. We are very busy around the farm right now, it is that time of year when the more you can do the more we will harvest in September! So send us your positive thoughts of having limitless energy. The CSA is about half full. Which is good, we are relying more on word of mouth referrals more this year, so spread the good word! If you havn’t signed up yet, do it! Remeber returning member discount and walk or bike to the farm discount. The farm is looking good and we are feeling pretty good too. I am a bit sore today though, that should work its self out. We hope everyone is doing well and looking forward to the season. We are doing well so far! Here we are in March. CSA is starting to gain members, and the greenhouses are starting to gain more plants, the whole situation is in the gain mode. 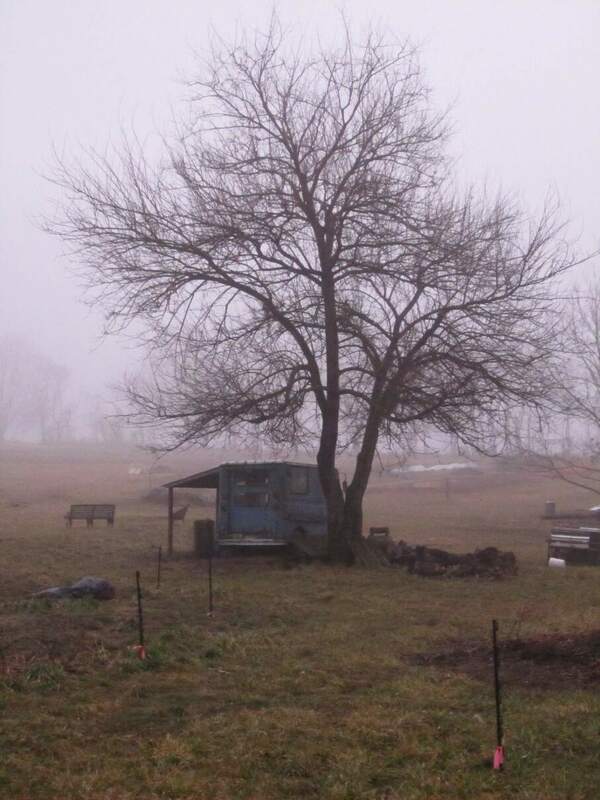 Longer days, both sunlight and time spent at the farm, the daily chores of moving plants from here to there and back again, changes in temperatures, hot and cold. Tomatoes, peppers and eggplants are all doing nice, but they are many in numbers, and moving them around and watering them is time consuming, it is nice though, but its not one of those things you can hurry through. Getting some plants in the ground out side. 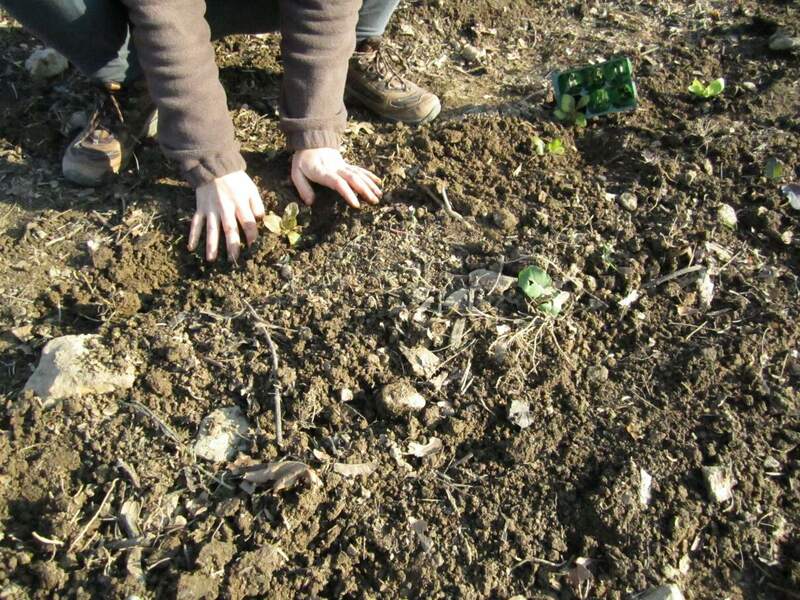 Our first planting of broccoli of the year is in the ground as well as lettuce and radishes. Veggies have been going to a local restaurant. 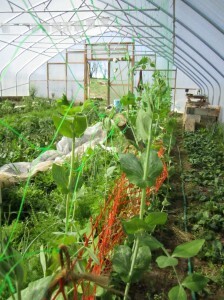 It has been fun to see what chefs are doing with the things we grow. They sent me a few nice pictures of a salad made with our lettuce and flowers, very beautiful. The restaurant is in Shrewsbury and it is called Julianas’ http://www.julianasinthevillage.com is their website. It is nice to be selling to a place so close. We could go all over the place, but selling very local is very simple and positive. Anyway, we are moving right along and having a nice time of it. Looking forward to a nice season here. Here is a nice shot Jean took the other day. Here we are at well, looks like middle of Feb. We have been a bit busy, but have had a nice break. This will be the third season of the CSA for us, and we are really looking forward to a good season. Having two seasons under our belts will be very beneficial. We have some what of an idea what to expect. 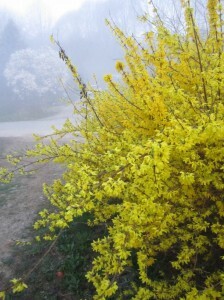 I think what will be most benifical about this season is knowing what varieties to plant, and knowing about when to plant everything, weather permitting.Hey the witchhazel is blooming! The new greenhouse that we built has been very nice. We sort of stoped growing to much in mid jan, getting the soil in good shape for the upcoming season is one of our top priorities, because well the soil in there is a bit challenging. We tested the ph the other day and it was about 5.8. That is pretty low. 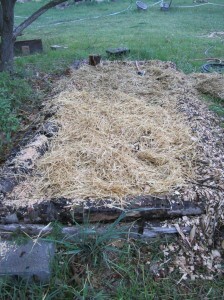 Anyway, one project from the winter was to construct a hot bed. This is basically a cinder block rectangle that hold fresh horse manure. 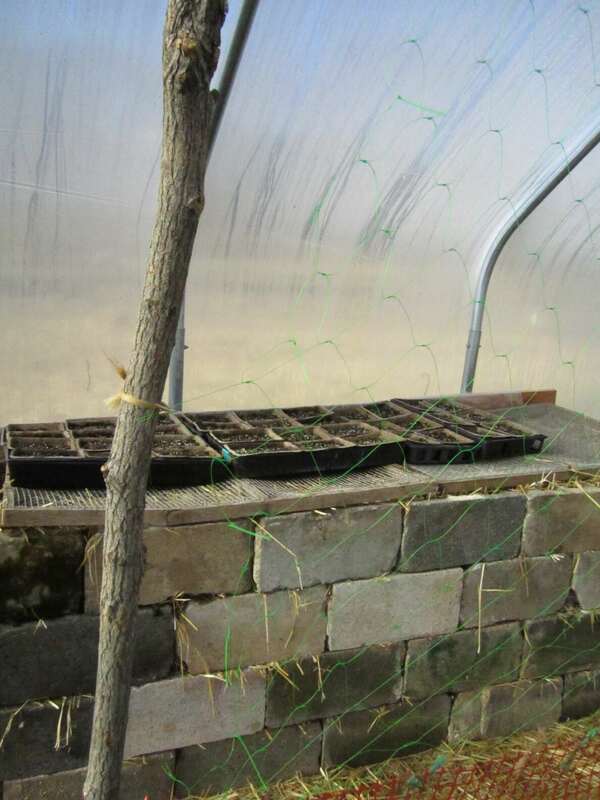 The manure heats up to break it self down and we harness the heat to help seedlings stay warm and to just warm the hoop house a bit more. Jamie from hollow elm gardens helped this turn out very nice. 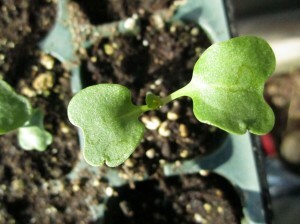 We also got a bunch of seedlings going, brassicas and greens mostly. Onions are also started. Oh and eggplants, and the tomatoes that will be in the greenhouse. 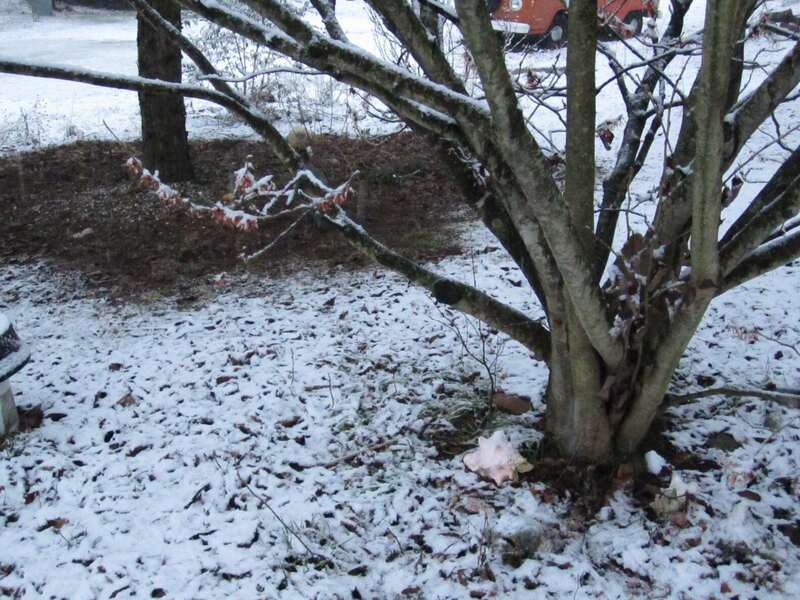 It is Dec 12th. We are working on the seed order for next years main season CSA. We are looking at how the season went and what to do differently next year. We are planning where the crops will go, when the will be planted, how many will we plant. We are planning the logistics of next years season, its going to be a good year. I can tell. We have a lot more ground plowed up. We have doubled the growing area for next year. Which is great. we are getting to the place where we have enough ground opened up to have a nice long term crop rotation. Next year is the first year that I feel like I really know what varieties to plant (not that you don’t learn new varieties each year, but I know the varieties that will work well for us). We got this 1100 gallon water tank from a guy in dover PA. It was pretty much fun to strap this thing on the truck and drive it 50 mins to the farm. Jean and I were a bit nervous driving with this thing on the back, but we did it. One spot of ground I shallow roto-tilled covered with manure and mulched it with straw. 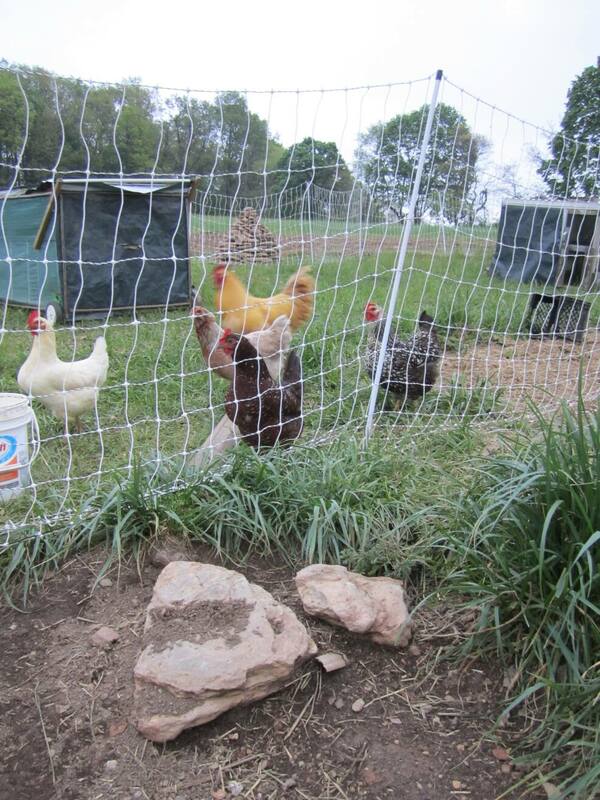 Now our fine feathered friends (the chickens) are working in the mulch and the manure and have a blast of a time. I been collecting manure form the neighbors horses, one shovel full at a time, so far I think i have gotten 9 truck loads. But our soil needs it, especially in the new growing areas. I know this will pay off for next year. 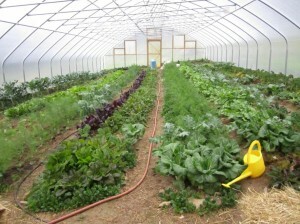 Running this winter CSA right now. It is really nice. It is my favorite time of the year for sure. Slow pace, but still abundant. It is really impressive how well things can grow during this time of year, even just outside with a row cover. I am still planting away. Just planted several hundred lettuces, endives, radicchio. 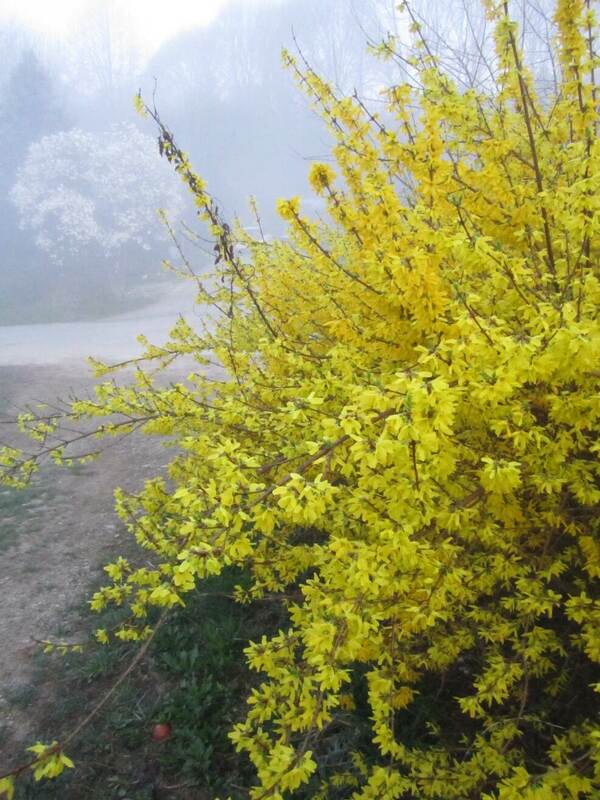 This stuff should be ready in the early spring, it will over winter. So the farm is going well and we are looking forward to next year. Here is a fun video of the chickens working up some ground. Anyway, tomatoes are a bit slower this week, as they haven’t done to much ripening over the weekend with all the rain and no sun. But we still have plenty for the share, just noting the subtleties or farming, our late crops of beans are coming in, and we should have green beans again, which will be very pleasant, later summer beans are very tasty and sweeter, because of those great cool nights. 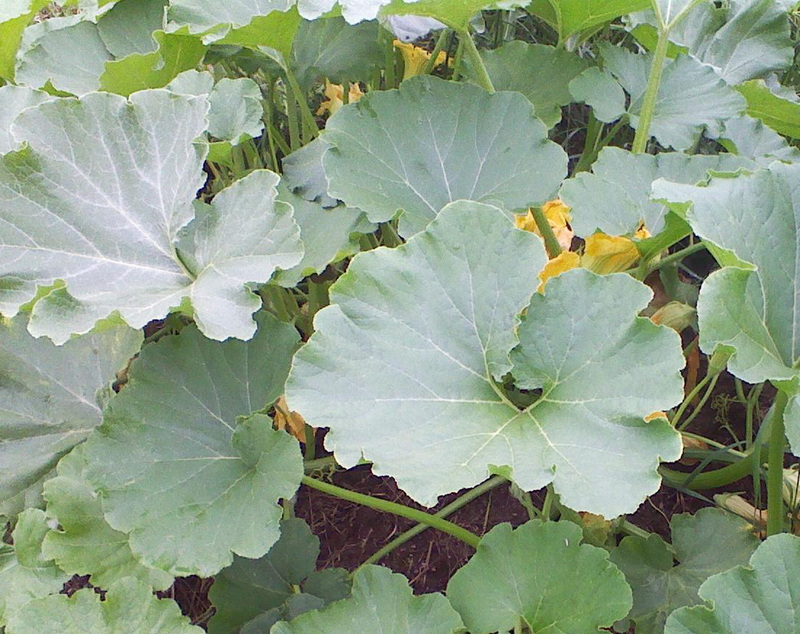 We will also be having more zucchini in the next few weeks as out later plantings are coming on strong. The heat and drought of July really did take a toll on our zucchini production as zucchini production is really tied to the amout of water we get. Hey we hope you enjoyed the melons that we gave out last week or so. It was nice for us to be able to grow organic cantaloupes and put them in the shares. I get the feeling next year we can do more of that! Eggplants are going great, and so is the basil. This year is really a great year for our basil. Any really this is a great thing. We will keep harvesting a bunch so you all can keep making pesto. I really promise you, make pesto and in January, you will be oh so pleased to have that taste of summer on a nice savory pasta dish, or oh better yet and egg sandwich. I will include a really good egg sandwich recipe that I make pretty much every morning while tomatoes and basil are in season. Our okra is doing really really great this year. This is a good thing. 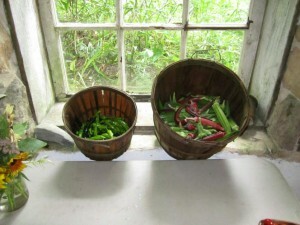 Laura a CSA member sent me link to a site with the best okra recipies of the season. And they do look really great. Please enjoy the okra, it is really a treat! The okra wont be in your boxes, we have so much of it, it will be on the table, you help your self to what you want. It is truly a privilege to have this much okra, and I recommend you take advantage of it! One way to take advantage of it is to freeze it so you can have it in the winter. You will really impress your friends when you cook them a spicy gumbo in January with okra from your favorite local farm. 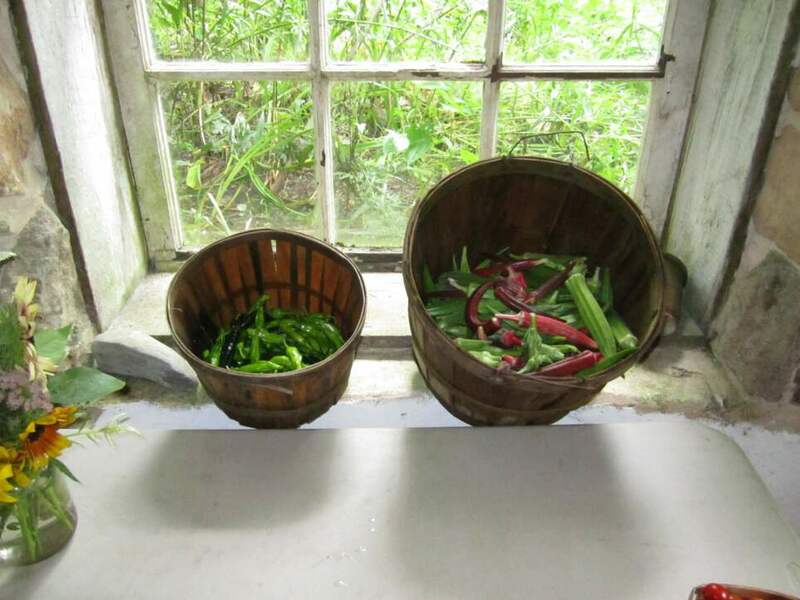 Here is a great simple article on freezing okra. This week will feature some really great potatoes. You might see some blue ones, some red ones and some fingerlings. Most of these potatoes are “small”, well they are supposed to be! Don’t peal them, dont cut them, roast or steam them whole! You can cut them if you want, but really they are great because you dont need to cut them or peal them. Enjoy these fresh potatoes with butter or oil or just plain! You should see this green house we are building, if you get a chance, take a walk up into the fields and look at that great new green house. We are going to be able to grow tons of food in there in the late and early seasons, helping us to reach our goals of year round growing. 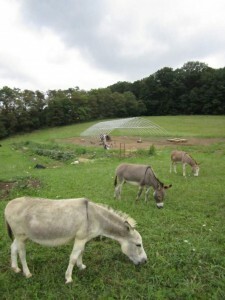 We have been happy to put our donkeys to work, now they are really getting good at mowing. This is actually a really big help. We have irrigation lines running over the fields, so using the lawn mower can be a bit of a pain, every couple of feet you have to stop and move the lines, and get back on the tractor and keep mowing. So now we have the donkeys mowing the grass and eating around the various obstacles that are in the fields. Its mid july and it is feeling ok. Lets see it is a friday morning and I am personally a bit tired, feeling it in my knees and hands a bit, but mentally still feeling sharp and energetic. 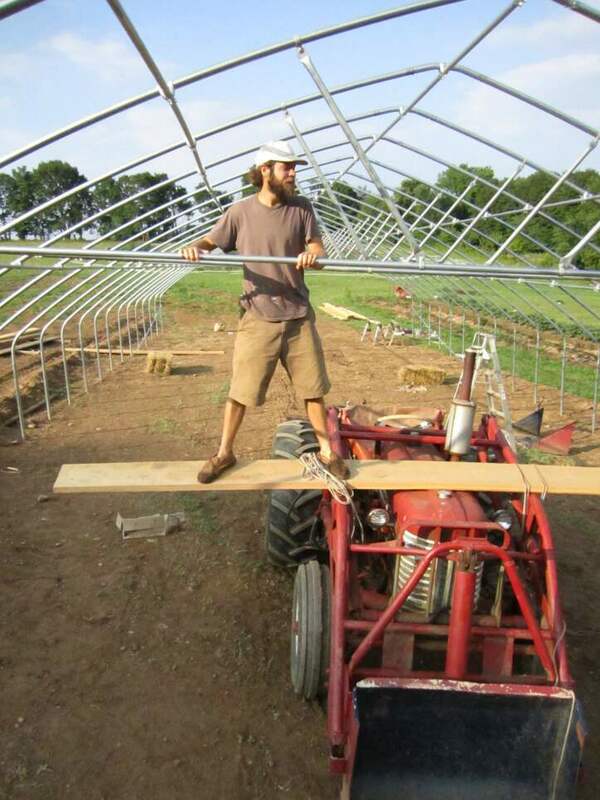 We are are building a new greenhouse, and it arrived tuesday. It will be nice to have another greenhouse. The season is going well it seems. I wouldn’t say to many failures, mostly successes. Okra is turning on. That is nice to see, it is on of my favorite flowers, its open for a day then it closes and in a week or so you have a tasty okra in its place. Thinking about late fall a bunch, and what that means. All the planting that I have to do for the late fall crops. Which is nice, its a whole other set of things. Some the houses and some in the fields. We are doing that year round growing thing here. Which is really fun. Growing in the fall and winter feels great, other than hands getting cold. Anyway, we have a bunch of summer to think about yet, so summer. Okra. Is coming. And tomatoes. Already June 30th. Fun times thus far. Ups and downs, typical you know. Weathers has been fine. Too wet then too dry, well thats what we say right. Seems just what we need so far. Plants look healthy. Garlic harvest went nice. Nice quality bulbs, healthy, aromatic. Getting tomatoes from the field, last week, great. Mushroom harvest last week as well. Adding a greenhouse, 30 by 72. Chickens getting involved in tilling, donkeys getting involved in mowing. We are being creative with watering. Gravity, and exploring flooding, on a really small scale. We are eating pretty well around here. Feeling busy, but not overwhelmed. Not busy like busy work, but, focused and getting things going, and keeping them moving with finesse and diligence. we have a full crew this year, ray kristi deb denise ric finch jean devin. Some CSA members pick up on their bikes. Which is really great. Minimizes traffic on the small road, some people walk to pick up their veggies. Hoping to get more bike folk and walkers. Got the veggie stand up and running. The year is moving, and well, its all down hill from here (the path of the sun; you know). Feeling that shift, harvesting, we are in for some hot dryness. Seeing some nice birds and butterflies this year. Lots of great wasps, flies and bees; we still work for the birds and the bugs everything else. Hey. Well Its going pretty well around here. It was pretty hot today. We have much in the ground outside, some is doing well, others arent doing so well! But this is typical. 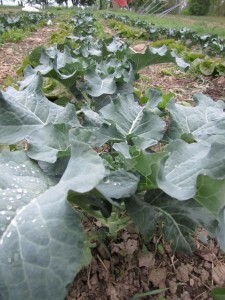 We had a bunch of cabbages eaten last week by something. I think it was some type of rodent. This was sad, but I had to get over it very fast. Peas and spinach are up as well as some beets. Yum. We have been up to more mushroom projects as well. We are trying out a golden oyster mushroom in addition to the regular tree oyster mushroom. Also trying out wine cap mushrooms as well. I am pretty excited for the various mushroom projects, they smell so good! Also we are trying out growing ginger in the hoop house this year, which is very exciting. Ginger is so tasty, hmmmm it would go well with a shittake, ginger, bok choi, lemon grass saute, with some thai hot peppers as well? nice. Perhaps this fall. 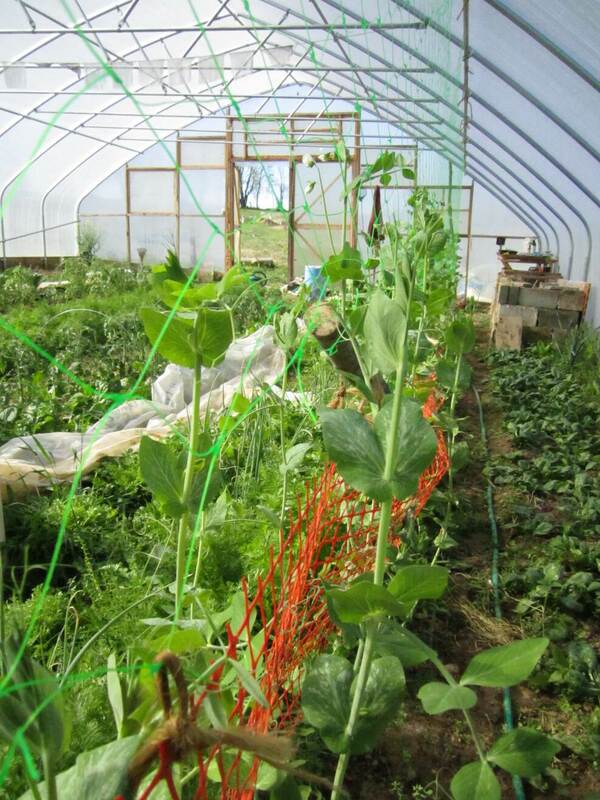 Still time to sign up for the CSA! If you have any questions, let us know! 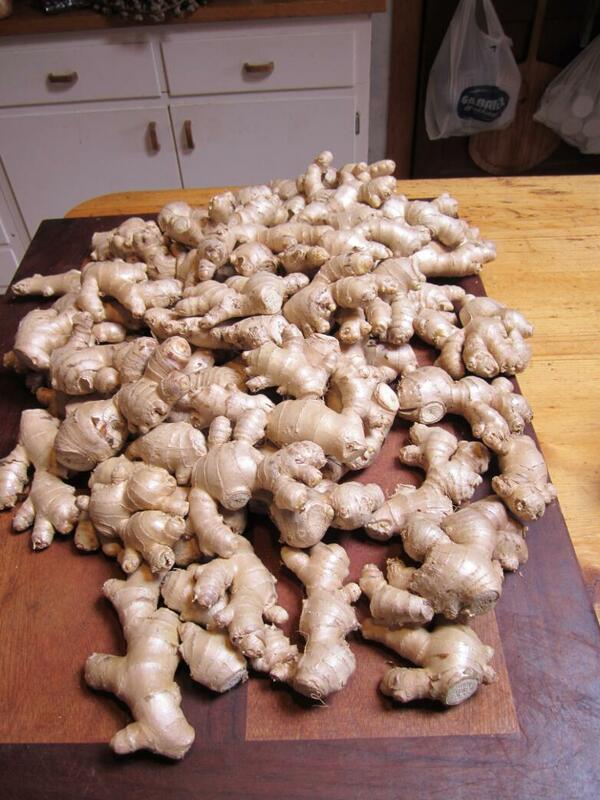 here is the seed ginger, from Hawaii! Hey its March 16th. We are really moving forward here. Planting spring crops, in the greenhouse as well as planting out in the fields. We have spinach, peas and beets in the ground outside. Some spinach has germinated, hopefully this nice rain we got last night will bring up the others. 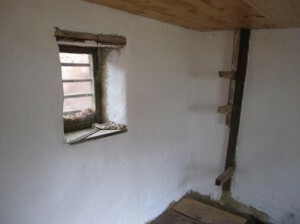 We are working in the spring house as well. Jean, Jamie and Devin were working away in the spring house yesterday putting up the new ceiling. It is really looking nice in there. Jean had been painting in there for a few weeks, now that is complete. 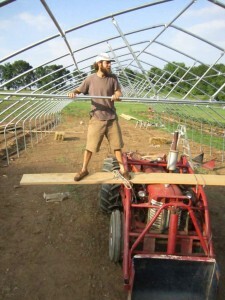 People are signing up for the CSA at a great rate this year! We are really looking forward to this CSA season. There is talk of another local market opening up, and we will be there selling our produce! 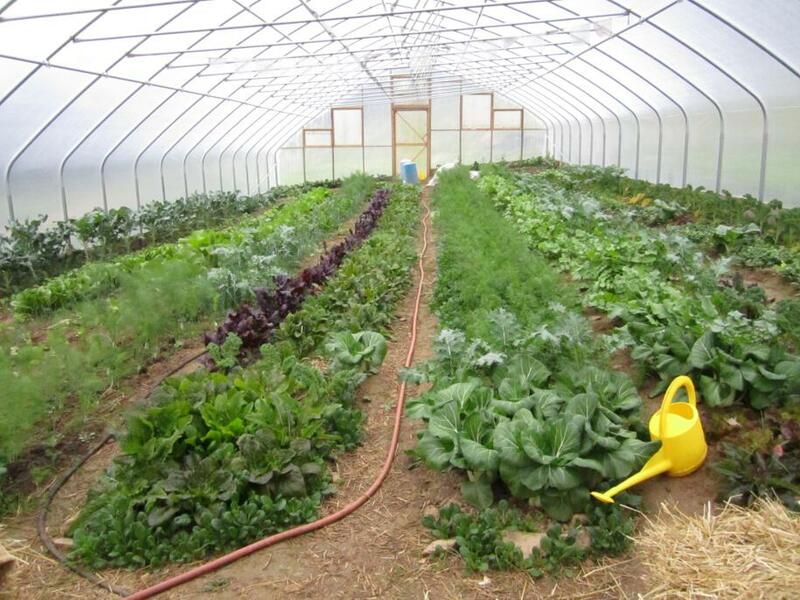 It is great to see the local food becoming more in demand around southern York, and northern Baltimore Counties! Here is what the spring house is looking like right now!